I've created three cards, all using scraps from this month's projects and items that I've been hoarding for far too long. 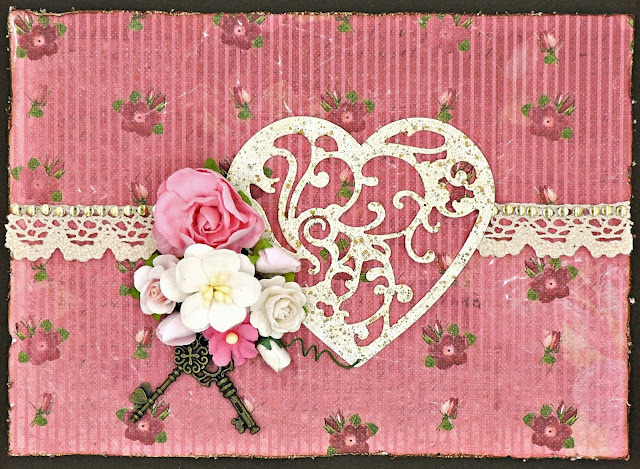 For my first card, I cut out a 5x7 piece from paper that was left from the layout that I made for the Round Robin. The heart is actually an experiment gone wrong: I tried to use a thin Spellbinders die on thin chipboard and ended up with an outline pretty much cut out and a sort of embossed inside. I gave it a coating of gesso and then several layers of mist, finishing it off with some distress inking. To finish, I wrapped the stem of my flower with a bit of twine before gluing down and adhered a sentiment to the center of the pattern circle. 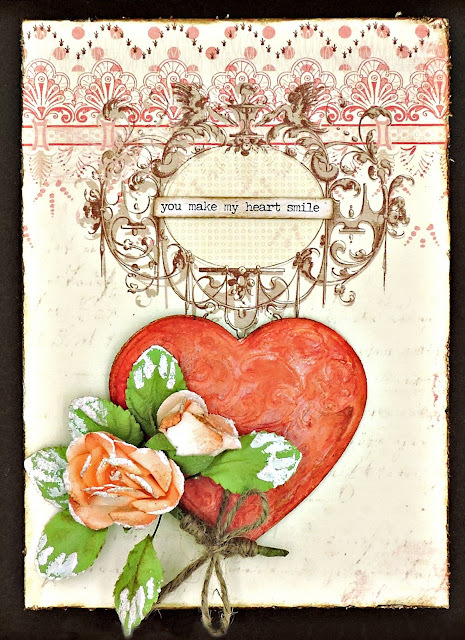 The base of the second card is another Round Robin scrap: Devotion from Splash of Color's Cotswald Manor Collection. I tried the Spellbinders die again, this time with a cereal box and it was thin enough to make a perfect cut. After priming it with gesso, I heat embossed it in several layers to match the lace border that I placed on each side. 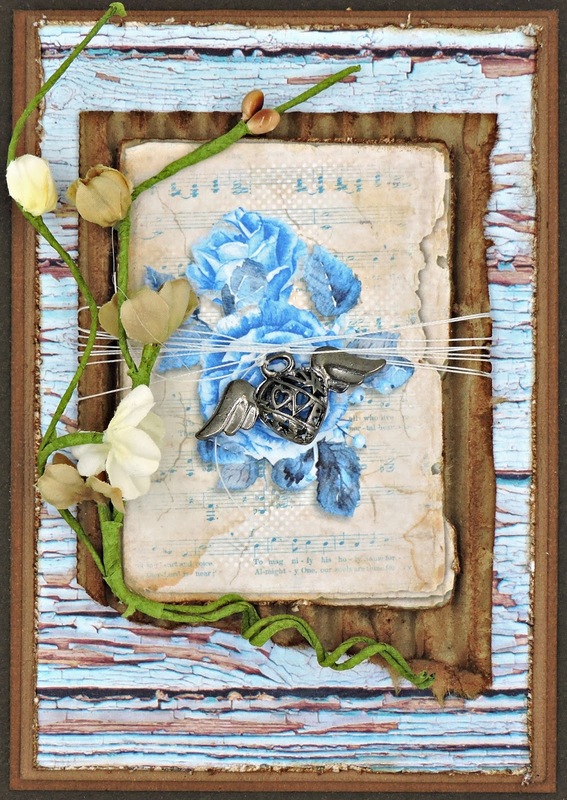 I finished it all off with a cluster of flowers and two metal keys. I used scraps from the Swirlydoos Delicate kit, along with layers of cardstock and a piece of stripped corrugated packaging to assemble my third entry. A bit a Prima vine, a metal heart and a length of upholstery thread and I called it done.